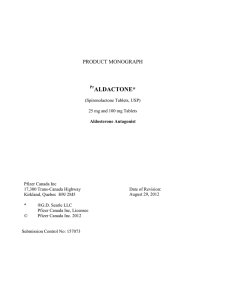 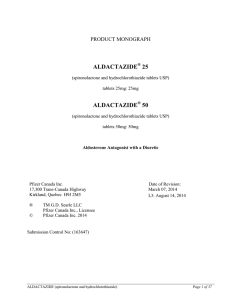 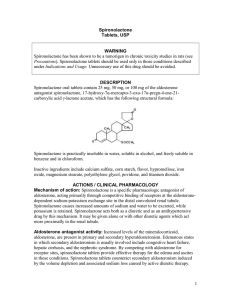 Spironolactone (INN, BAN, USAN) (pronounced /spɪˌrɒnɵˈlæktoʊn/), marketed mainly under the brand name Aldactone in most countries, is a synthetic, steroidal antimineralocorticoid, as well as, to a lesser extent, an antiandrogen, progestin, and antigonadotropin. 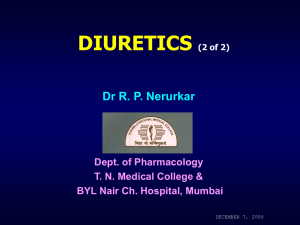 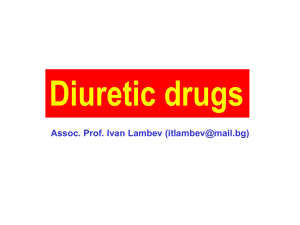 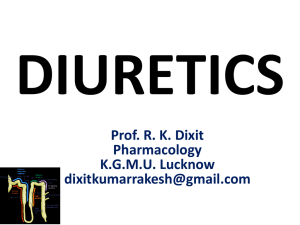 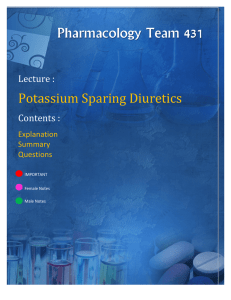 It belongs to a class of drugs known as potassium-sparing diuretics, and is used primarily as a diuretic and antihypertensive in the treatment of heart failure and hypertension. 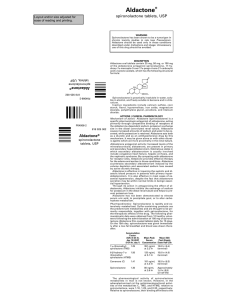 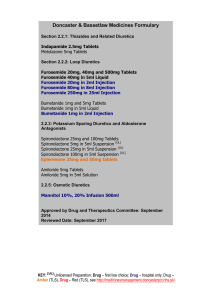 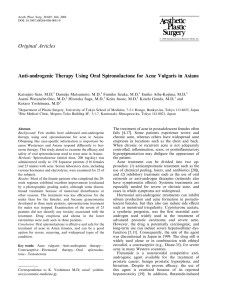 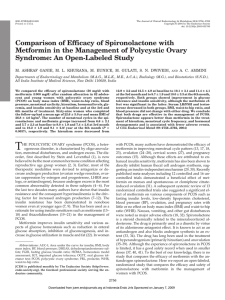 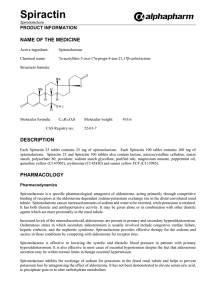 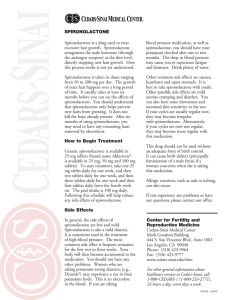 As a secondary use, spironolactone is also frequently employed off-label for the purpose of reducing androgen levels and activity in the body, such as in the treatment of hyperandrogenism in women and as a component of hormone replacement therapy for trans women.Spironolactone is a relatively old drug, having been introduced clinically in 1959. 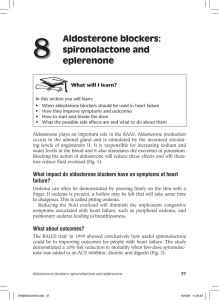 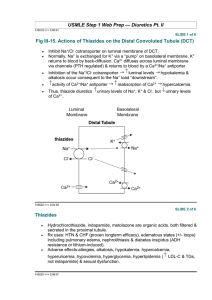 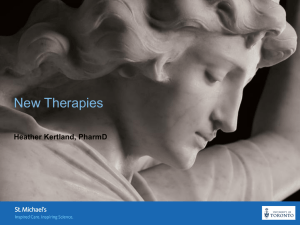 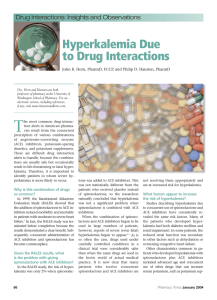 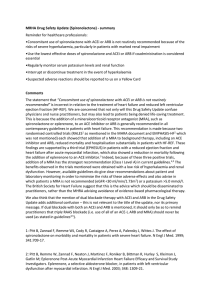 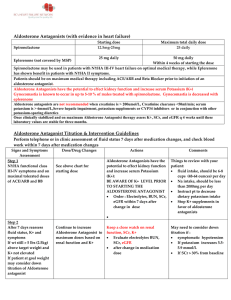 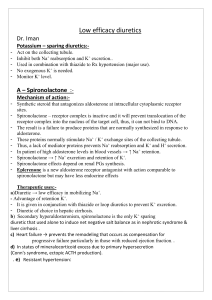 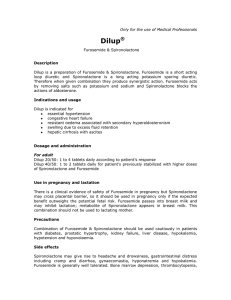 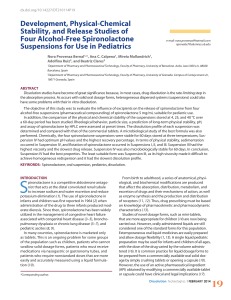 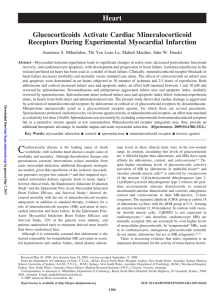 Futterman and Lemberg predicted that spironolactone will be less commonly used in cardiovascular conditions as newer agents such as eplerenone are more selective and produce fewer side effects – namely, antiandrogenic side effects. 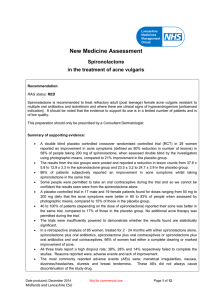 However, spironolactone remains widely used for indications in which its antiandrogen effects are the intention of treatment.Spironolactone is on the World Health Organization's List of Essential Medicines, a list of the most important medication needed in a basic health system.